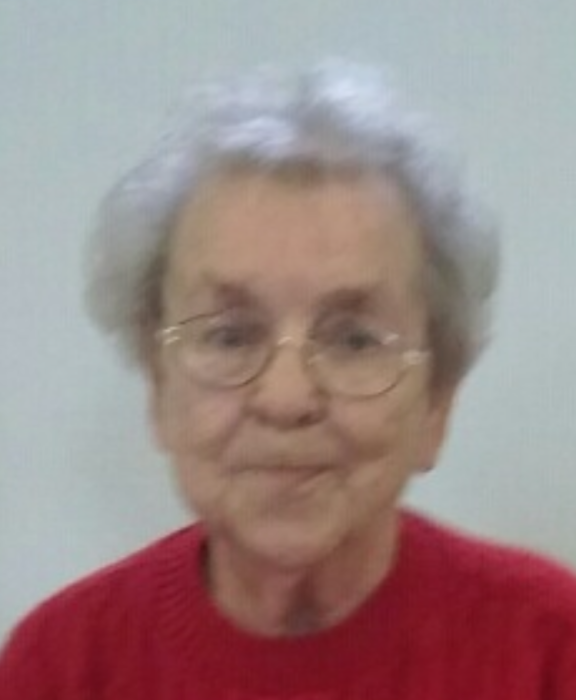 Virginia "Ginnie" Atwater, 82, of Lawton, passed away Tuesday, April 2, 2019 at her home. She was born May 16, 1936 in Kalamazoo, the daughter of the lateTony and Alice (Miles) Stimac. Ginnie was active with her family, their home was the "neighborhood house". She was a Brownie troop leader, softball coach and player. She enjoyed bingo and bowling and loved trips to the casino to play the slots. Most of all, Ginnie was an avid reader. Some of her jobs over the years would include, A Soda Jerk at Spades Drug Store, Stimac's Nursery, her husband's gas station, Chuck Standard, and deli manager at the Paw Paw Shopping Center. She was a member of the American Legion Ladies Auxiliary. Growing up was not easy for Ginnie and her family. They were hardworking and she spent her time working on the family farm. On December 19, 1953 she married the love of her life, Jerry Atwater who preceded her in death on July 29, 2009. She is survived by her four daughters, Barb & Jim Alden of Paw Paw, Patti & Tim Barnes of Lawton, Nancy & Pat Laskovy of Lawton and Liz Atwater of Lawton; three grandchildren, Alison & Tony Cirino of Paw Paw, Natalie Alden of Oshtemo, Tony & Sarah Atwater of Paw Paw; six great-grandchildren, Hadlee Cirino, Hudson Cirino, Milo Alden, Trey Barnes, Sadie Atwater and Harper Atwater; her loving canine companion Buddy, two brothers, Clarence & Linda Stimac of Paw Paw, Joseph Stimac of Paw Paw. Virginia was preceded in death by her sister, Maggie Goddard, daughters, Judy Atwater and Mary K. Marr and her granddaughter, Amber Burnett. The family will receive friends Friday, April 5, 2019, from 2:00 p.m. - 4:00 p.m. & 6:00 p.m. - 8:00 p.m. at the Adams Funeral Home, 502 West Michigan Ave, Paw Paw. A life celebration will follow at the funeral home on Saturday April 6, at 11:00 a.m. with Rev. Tim Gunderson officiating. Cremation will follow services. Ginnie will be laid to rest at Oak Grove Cemetery, Lawton, at a later date. Memorial contributions may be directed to the family.